Children today typically are exposed to cartoon and comic book characters with super powers at a young age. It’s likely some or all of the children attending and studying these lessons already will be able to identify a favorite superhero among a host of characters with varying powers and quirky personalities. On one hand, this may make it easy for a child to accept that Jesus could do amazing and powerful things. On the other hand, children may be tempted to perceive Jesus as merely another character in the plethora of good guys with special powers. However, Jesus is so much more than a superhero! This unit will help children understand He is Creator and, therefore, Lord over all of creation. Lessons in this unit are listed below. Just click on each lesson title to access the individual lessons. 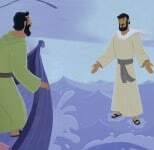 This lesson teaches older preschoolers that since a violent storm immediately became calm when Jesus told it to stop, no one is more powerful than He. Also, just as Jesus’ disciples could trust Him to take care of them, we can trust Him to take care of us today. 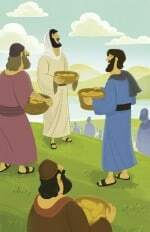 Jesus fed thousands of people with just five loaves of bread and two fish! Since this is something only God can do, we can know that Jesus is God. We should not only look at all the things Jesus did, but listen to and heed all the things He taught as well. 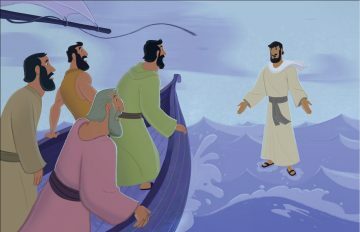 Jesus’ disciples were terrified when rough waves were tossing their boat about; then they saw Jesus walking on the surface of the water and thought He was a ghost! 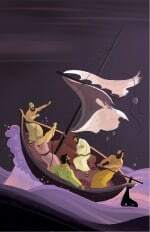 Jesus reassured them by saying to them, “It is I.” As He climbed in the boat, the water became calm. Jesus can calm not only rough waters, but hearts as well. 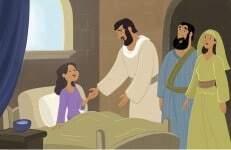 In this lesson, older preschoolers will learn that Jesus brought a 12-year old girl back to life, much to the delight of her parents and family. Jesus has power over life and death!